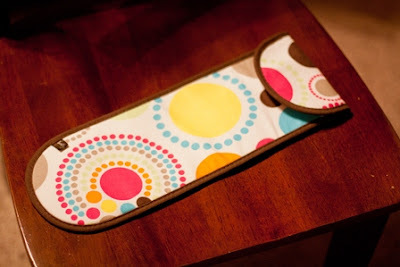 Want to win this awesome flat iron case from Thirty-One?!?! Well, guess WHAT?!?! This is MY GIVEAWAY!!!! Soooo..Your At The Right Place! Now, let's get this giveaway started! This flat iron case is made of a sturdy canvas in a fun circle spirals print. The silver thermal lining can withstand heat up to 400 degrees- so have no fear if you need to pack up your hot iron directly after use! Contact Kalyn Cavalier at www.mythirtyone.com/kalyncavalier or kalynn.cavalier@gmail.com if you would like to purchase additional Thirty-One products!